Just last week we brought you a peek at the incredible winners of this year’s NYC’s Canstruction competition, which challenges engineers, architects, contractors, and students to create massive structures made entirely from canned goods to raise awareness and food for the hungry. Just yesterday we sent one of our very own intrepid reporters to capture an up-close look at all of the incredible submissions — hit the jump for an exclusive look at some of this year’s best designs – and if you’re in town be sure to stop by the World Financial Center because this exhibit closes on Monday! Located in the World Financial Center, the event will be open to the public all this weekend and is closing on Monday. After that, the canstructions will be deconstructed and all non-perishables will be donated to local food rescue organization City Harvest. Visitors are also encouraged to make their contributions to help those in need. 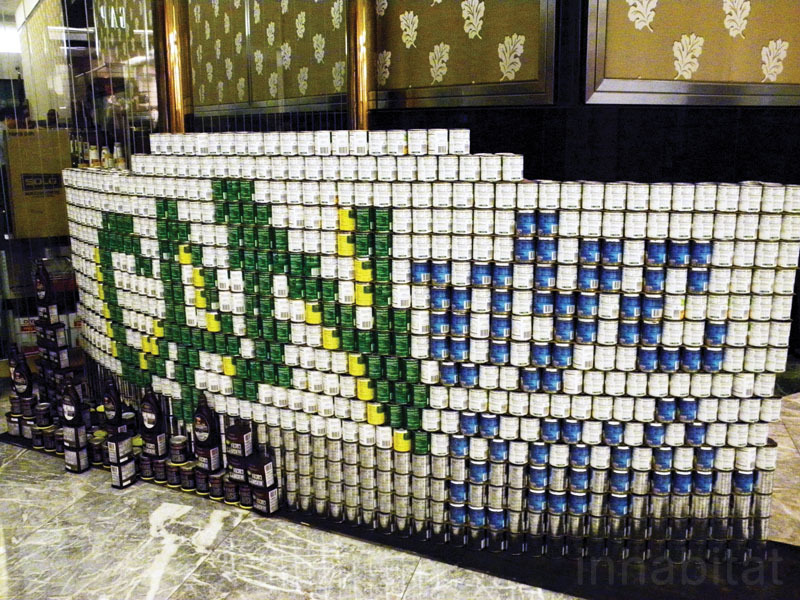 Just last week we brought you a peek at the incredible winners of this year's NYC’s Canstruction competition, which challenges engineers, architects, contractors, and students to create massive structures made entirely from canned goods to raise awareness and food for the hungry. Just yesterday we sent one of our very own intrepid reporters to capture an up-close look at all of the incredible submissions -- hit the jump for an exclusive look at some of this year's best designs - and if you're in town be sure to stop by the World Financial Center because this exhibit closes on Monday! It's a Hit - To Hunger!